If you’re in need of garage door installation services for your home in or near Franklin, Tennessee, the company to turn to is 31-W Insulation. As a family-owned business that has been serving the home improvement needs of homeowners since 1972, we are committed to providing our customers with top-of-the-line products and professional installation services. 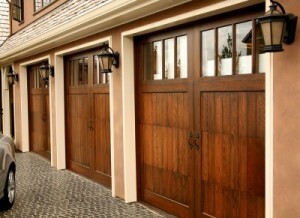 You can count on us to provide you with the garage door services you’re looking for to enhance your home. Once you’ve selected the customizations you want, you can count on 31-W Insulation to take care of the garage door installation with exceptional attention to detail. Our factory-trained technicians will ensure your new garage door is properly and safely installed so that it will continue to look great and function seamlessly for years to come. And, as an A+ rated company with the Better Business Bureau, we remain committed to providing complete customer satisfaction through our work. Don’t trust just any company with your garage door installation. Choose the experts at 31-W Insulation to provide you with the top-quality products and services you want for your home in Franklin, TN.